Less than 30 percent of family businesses survive into the third generation of family ownership. Family businesses can go under for many reasons, including family conflicts over money, nepotism leading to poor management, and infighting over the succession of power from one generation to the next. 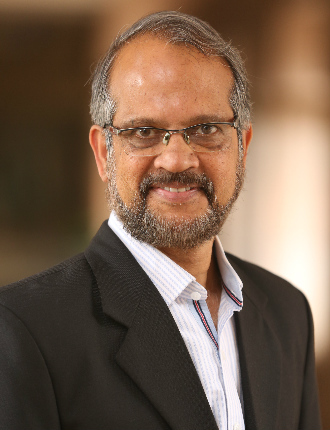 Executive Director of Thomas Schmidheiny Centre for Family Enterprise at ISB, Professor Kavil Ramachandran and Research Associate at the Centre, Navneet Bhatnagar, identify the keys which enable a professional management and keep the family committed to and capable of carrying on as the owner. 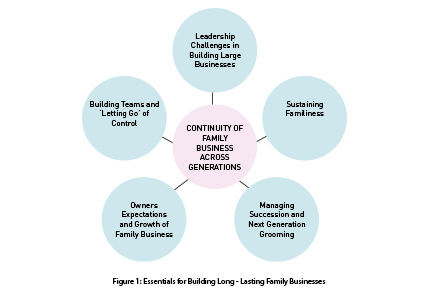 Creating family businesses that last multiple generations has always been a challenge. 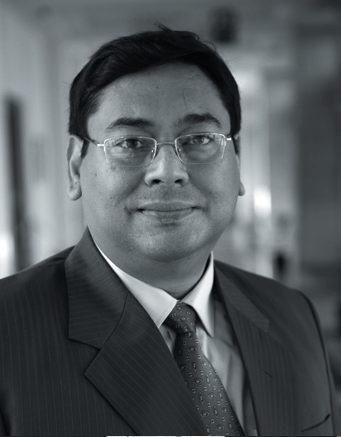 Given that family controlled businesses constitute a significant part of businesses, particularly in Asian countries, the need to find mechanisms to facilitate their survival and growth is always important. Unfortunately, awareness about such mechanisms is limited, let alone the capabilities and resources required to implement any such strategies. It is in this context that we should look at the relevance and magnitude of the impact of the series of family business conferences, the Indian School of Business has been organising over the years. The Thomas Schmidheiny Centre for Family Enterprise that has organised the conference ensured that the message of the conference was shared and discussed across academic and business communities. Most family business leaders continue to explore the unknown in their ‘discovery driven journey’, at least until the business becomes really large. This is so independent of the generation to which the business leader belongs to. Fundamental to building a large business is the clarity the family and leadership has about its purpose of existence. While a growth strategy is critical, a set of core organisation values that are shared by the employees is a basic building block of any successful organisation. One common thing that helps build lasting large businesses is the practice of values, which in most cases, are an extension of the family values. In essence, clarity of family values and dedication of the leader to their strict adherence in their words and deeds is critical for building large businesses. Entrepreneurship is a value that is found to permeate through the history of any multi-generational organisation. As the organisation grows big and gets trapped by structural and systemic forces, it is the ability of the leadership to sustain entrepreneurial orientation across the organisation that helps it to remain competitive. It does not happen automatically, and in fact, the quality gets lost particularly when the attention of the leadership gets engrossed in improving operational efficiencies. Family businesses that have grown faster than their counterparts have demonstrated strong commitment to entrepreneurship. It is in this context that the role of women as business leaders becomes relevant. This is an area often not explored, thanks to the historical dominance of male leaders in business and society. However, a close look at women leaders and their contribution to building large businesses would show the phenomenal inherent capabilities women have as business transformational leaders. Four such qualities are listed below. Women are proven to be very good in handling emotionally sensitive situations. Women are able to empathise with colleagues and resolve issues amicably. Their productivity is in no way inferior to men; in fact, several experts believe that their productivity at work is greater. Women are able to communicate tough messages more effectively and smoothly, compared to men. Such insights on the potential contribution of women leaders are particularly relevant in Asian countries. The key message is that leadership has to show tremendous amounts of human touch in all the strategies it formulates. It is true that lasting family businesses have a large pool of top talent that has remained with the organisation for very long time. They have earned the trust of the promoter family in terms of suitable managerial capabilities to take the organisation to the higher levels, proven high levels of integrity and ability to retain confidentiality. Both men and women can be high quality leaders. Building a successful large family business depends a lot on the quality and contribution of the board of directors. Very often family business leaders are not aware of the roles and responsibilities that an active board of directors can play. Family businesses that recognise the board as the custodian of the overall interests of all stakeholders do benefit immensely from the collective wisdom that board members will provide. A good board will maintain a fine balance between interference in the operations and providing guidance in building the business as a great institution. For this to happen, it is important for the family to develop trust between the promoter family, business leadership and board members. All these key stakeholders should have shared vision and strategy for the board to be productive. Success also depends on the choice of the individuals chosen as board members. They should be independent minded, competent with diverse background. A board consisting such people will be able to help the organisation grow rapidly and consistently, keeping the long term building blocks intact. However, leaders should be aware that it means some loss of freedom for them! It is true that lasting family businesses have a large pool of top talent that has remained with the organisation for very long time. They have earned the trust of the promoter family in terms of suitable managerial capabilities to take the organisation to the higher levels, proven high levels of integrity and ability to retain confidentiality. Both men and women can be high quality leaders. Family is a unique social institution held together by emotional bonding among the members. Unlike a business, where relationship among the employees is contractual, quality of relationship among the members is influenced by the shared values and purposes. It is a fragile system that needs careful nurturing always. What makes the family bonding in a family business context is the positive energy and collective pool of non-monetary network of resources. This helps family businesses to not only withstand challenges but also build lasting businesses. This will happen only when there is strong alignment of goals and intentions in the same direction. Experiences of several successful family businesses show that relationships are shaped and strengthened by individual personalities working with similar perspectives. In the same breath, we can say that discontent in relationships grows due to mistrust which in turn is an outcome of gaps between what one does and what one’s hidden motivations are. Families have to work towards aligning everybody’s thoughts and have a shared strategy for the business and family. This essentially implies creation of a shared mental model through dialogues, mutual learning and joint discovery of the unknown. People should develop capabilities to listen. What makes the family bonding in a family business context is the positive energy and collective pool of non-monetary network of resources. This helps family businesses to not only withstand challenges but also build lasting businesses. This will happen only when there is strong alignment of goals and intentions. Family businesses need to plan and prepare for succession to ensure smooth leadership transition when the incumbent leader grows old and is not able to continue in leadership role. This requires that the next line of leadership is timely trained and groomed to take on the larger responsibility in future. Family businesses need to evolve a clear succession plan and communicate its modalities to all family members. Many a times, the incumbent’s inaction or lack of clarity on matters of succession create an environment of conflict among siblings. Most such conflicts are on the issues of fairness and respect rather than money. Succession must be based on meritocracy – i.e., succession needs to be earned, it cannot simply be a birth right. This needs to be clearly communicated to the next generation members. The future of family business and its survival depends on the choice of successor. The successor must treat professionals at par, encourage humility and earn respect of each stakeholder- employees, dealers, shareholders, board of directors. For this to happen, the successor’s appropriate grooming is most crucial. Instilling pride in family legacy, commitment to core family values, respect for diversity, quest for finding own passions, preparing for the challenges of real life, objective and unbiased assessment and getting rid of entitlement mentality are critical issues that must be taken care of, while grooming the next generation for family business leadership. The successor must be made aware that he/she must act as a responsible trustee of the business and wealth that will be passed on to the next generation. Owner families need to continually build their businesses with the same entrepreneurial zeal that got them started. As businesses grow and organisational setup becomes more bureaucratic, preference for status quo and lethargy may set in. This is what family businesses always need to guard themselves from. It is very crucial for family firms to keep their entrepreneurial spirit alive. Trying new things and exploring new ways of doing business must always be explored. However, ensuring synergy in overall strategy is critical. Family businesses need to have cohesive thinking amongst all family stakeholders and full clarity on financial terms even with silent partners. Instilling pride in family legacy, commitment to core family values, respect for diversity, quest for finding own passions, preparing for the challenges of real life, objective and unbiased assessment and getting rid of entitlement mentality are critical issues that must be taken care of, while grooming the next generation for family business leadership. It is important to aptly manage the expectations of family owners. This is becoming increasingly critical because of the growing diversity in thinking among members of the same family. At any given point of time different family members are traversing through a different phase in their life. Some of them might be current high achievers, some others might be oriented towards future growth and yet others who might be comfortable with status quo. While some members may be involved in operations, a few others may be involved in developing the strategy, and the remaining only be investors. Each one of them would have varying expectations from the business. Fulfilling those diverse expectations is a big challenge for the family business. However, it is important that all of them realize that their goals are only achievable when the business registers satisfactory growth and profitability. Staying together under an effective leadership is the only way that this can be achieved. Preserving family wealth is a major challenge that needs to be met to keep families together. Business families need to adopt diversification strategy in managing their business and family wealth portfolios. This diversification needs to be made across clients, asset classes, geographies, products and commodities. They must develop agile and opportunity-prone operating models. In markets that are less predictable, family firms must very strongly anchor their businesses locally. It is important to ensure that family businesses hire, retain and develop the best talent at all levels. Superior human resource capital will help family businesses in creation and preservation of wealth for future generations. Responsible ownership is essential for long term sustenance of family businesses. Ownership togetherness and clarify of rewards are critical for building lasting family businesses. Family businesses need to fortress ownership within. Ambiguity with regard to ownership rights is dangerous. Documenting the ownership norms, rights and privileges is always more trustworthy. It is advisable that family businesses prepare legally valid shareholders agreement that defines precisely who owns what and lays out the rules of transfer, inheritance, sale/exit. This will ensure that all family members have clarity on these matters and conflicts are minimised. Developing capable teams that can deliver and giving them decision-making control is essential for smooth transition of family business leadership to later generations. The incumbent family business leader always faces many challenges in letting-go the control over the business. On one hand this involves emotional issues like, fear of loss of stature, power and respect once the person relinquishes control. On the other hand, there are career concerns – like occupation after one steps down and idleness. Other issues that concern the incumbent are the perceived threats – like what if things do not work out as planned – insecurity and doubts on the capability of the successor. Another aspect that troubles the incumbent is the threat of how the person will be viewed by the children, relatives and inner circle, once he/she steps aside. Family business leaders need to be up-front in dealing with and proactive to address these challenges, insecurities and threats. It is important that the family business owner adopts a hands-off approach and plans a smooth transition into a non-operating owner. Bringing high quality non-family professionals and giving them freedom to operate is essential for long-term institutional building. This has to be achieved by mutual trust, taking charge, delivering performance and adhering to value systems. In most long-lasting family businesses all family members involved are aligned with strategic objectives and are willing to adapt/evolve. Such businesses are receptive to external input and talent and are also valued by external investors. Transforming family businesses into enduring legacies across generations requires building them as institutions while keeping the organisation and the people managing it rooted in human values. In order to transform family businesses into lasting institutions, business leadership must adopt long-term perspective while maintaining strategic freshness. Keeping their entrepreneurial spirit alive and building leadership capabilities is very important for family businesses to successfully face future challenges. It is also crucial that even as they grow into large organisations, family businesses retain their familiness and unique strategic vision that can continue to provide them a competitive edge. Though competition can garner superior financial and other physical resources, it is the unique human capital resource that sets the family businesses apart – this must always be valued whenever strategic decisions are made. Augmenting human capital and strengthening familiness must be a core activity for the family business. Family businesses must also ensure timely grooming of the next generation to prepare and equip them for larger responsibilities in future. Formulation of a clear succession plan with clearly defined roles and responsibilities will help family businesses in avoiding conflicts. The incumbent leader must mentor the successor for a limited period of time and should let-go of control once the successor is prepared to manage the affairs. Building capable teams augments the support to successive leadership. It is important for long-term sustenance that the successor is trained to act as a trustee and take everyone along. Responsible ownership is another important aspect essential to make a family business long-lasting. Varying expectations of different family owners must not hinder the family business from its overarching goal of long-term growth and profitability. Family businesses that act and fortify on these five fronts transform themselves into long-lasting institutions.